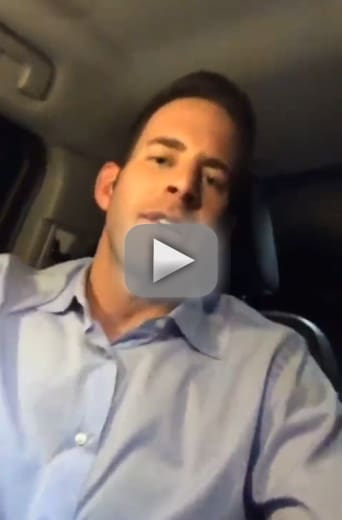 Tarek El Moussa: Here’s How I REALLY Feel About Christina Getting Remarried! Just a few weeks ago, Christina El Moussa married Ant Anstead. Though we reported at the time that Christina's ex, Tarek, was happy for the couple, some headlines claimed that he was devastated. Tarek has taken to Instagram to clear up any rumors and share how he really feels about Christina's new marriage. Taking to his Instagram Stories, Tarek El Moussa spoke directly to his fans and followers. "Christina got married," Tarek affirms. "Yes," he says. "I’m actually happy for her." "I think it’s a great thing," he emphasizes. "I think they get along well," Tarek says of Christina and Ant. "And most importantly," he continues. "It’s good for my children." Tarek and Christina share a daughter Taylor, who is 8, and a son, Brayden, who is 3. He very correctly notes that the most important thing is his children's happiness. "Really, at the end of the day, it’s all about them," Tarek says. "I’m happy," Tarek announces. "My life is amazing." "I have amazing friends," he raves. "I love my babies. My family is great." "I just want everybody to know that I’m doing fantastic," he says with confidence. "And," Tarek continues. "I’m super happy and I’m positive and I’m glad that she found someone." "It’s a good thing, it’s a positive thing," Tarek affirms. "I’m not the type who wants to fight with her for the rest of my life and make my kids miserable,” he clarifies. “The truth is," he shares. "Everything we do is about the kids." "And," Tarek continues. "At the end of the day my kids are going to have a stable household"
He is glad about that, noting: "and she’s going to have help." "And that’s exactly what they need," Tarek explains. Tarek's positive attitude about Christina marrying Ant Anstead is great. He truly, strongly did not appreciate rumors that he was angry, hurt, or depressed over his ex remarrying. "In life…you can only take so much bulls–t," Tarek wrote in an Instagram post behind such a headline. "I’ve been quiet for years never saying anything," his post continued. "But this time I’m going to speak up." "I was advised NOT to do this but…here we go," he said. Tarek accused: "The fake media and their 'fake sources' will do and say anything to make a dollar!" "They tried over and over to break me and ruin me…but I’m a fighter!" he announced. "They even called my girlfriends from high school!!!!" Tarek shared. It is unclear if he means that entertainment news media contacted his exes about this particular story or about something else entirely. Tarek wrote that people "Showed up at my moms house!!! Went to my sisters salon!!" "All their stories are bulls–t!" he declared. "You want to know how I really feel??" he asked. "Watch my Instagram story." His Instagram Story was, of course, the set of videos that we compiled for your viewing convenience here. It is understandable that Tarek might feel more than a little hounded by entertainment media. That said, while it's great to see him clear things up, maybe it was his "fake media" line that had those closest to him urging him to keep quiet. There are, unfortunately, very fake stories out there– we have debunked plenty of them over the years. That doesn't mean that media itself is inherently fake. And anyone saying "fake news" or anything similar is going to make people reflexively recoil, for obvious reasons. Still, we're glad and thoroughly unsurprised to hear that Tarek is happy for Christina. That is what we here at THG have been reporting since her wedding. Jeremy Calvert: I’m Leaving Teen Mom 2! Heidi Montag and Spencer Pratt: First Look at Their Miracle Baby! Jackson Roloff “Helps” Grandma Amy Roloff Pick Out a Tree! Previous story David Eason: I Will BEAT My Kids If They’re Transgender!